Sophie Littlefield’s writing career is one of the most diverse you are likely to find. She has found success and critical acclaim in a number of different genres – mystery (the Stella Hardesty series and the Joe Bashir series), young adult (Hanging By A Thread), women’s historical fiction (Garden of Stones), and apocalyptic horror (the Aftertime series) to name just a few. Now with her latest release, House of Glass, she tackles domestic suspense with equal aplomb. Regardless of the genre, Sophie Littlefield’s fans know they can count on experiencing a well-written story with engaging characters. She excels at fashioning fully fleshed out and flawed characters who are easy to relate to. Each of the characters, whether hero or villain is well-defined and readers will be transfixed by the unique situations Sophie Littlefield forces upon them. In the case of House of Glass, Littlefield presents the story of an ordinary family subjected to the horrors associated with a home invasion. As the novel begins, Jen Glass is struggling with the knowledge that the “perfect” life that she had (or at least thought she had) is no more. Jen suspects that the inconsistencies in her husband’s actions may indicate that he is having an affair. Her teenage daughter continues to grow moodier and ever more distant with each passing day. And her youngest child refuses to speak to anyone other than his immediate family. Little does she know, things are about to get a whole lot worse. When two men invade her home while the whole family is present, Jen must call on all her reserves in order to protect those that are most precious to her. Facing several days of stress and terror, the Glass family will need to pull together in ways that most families thankfully never experience. Throughout, Sophie Littlefield successfully creates the tense atmosphere of being held captive within one’s own home – a previous sanctuary from everyday problems – always keeping the reader wondering how the Glass family is going to escape. The tight time frame of the story ratchets up the adrenalin and the information about why these men are doing this is parsed out in ever-increasing nuggets until the reader realizes how this chain of events came to pass. Each of the older family members have secrets in their life that they feel could have instigated the current crime. However, Teddy (the young son), is unable to grasp what is happening and this stress only serves to exacerbate his speech impediments, just when he might need his voice the most. House of Glass is a fast read and continues Sophie Littlefield’s tradition of creating realistic characters facing extreme challenges. 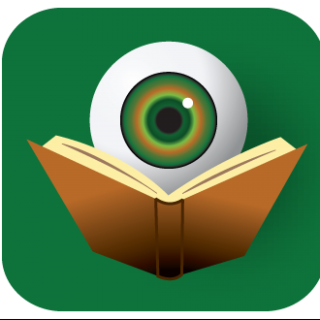 Book clubs will have a great time discussing the various issues raised within the novel. 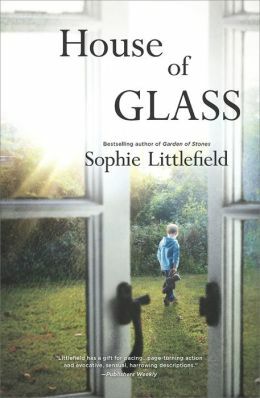 It will be interesting to see what Sophie Littlefield writes as a follow-up to House of Glass. Perhaps it will be her take on yet another genre. Readers will be lucky regardless.